Heather blooms summer to fall and many varieties have foliage with striking fall color. Look for a variety of bloom colors: white, bright pink, mauve, and more. Scotch Heathers prefer sandy, peaty soils and little to no fertilizer. Shear after blooming to help keep this evergreen shrub compact and bushy. This outstanding shrub displays attractive foliage in all four seasons. New growth is orangey-scarlet maturing to a blue-green color in summer. Hardy and virtually pest and disease free, this plant also has the added bonus of beautiful fall color. With glowing gold, orange, and red blooms mid-summer through fall, Helenium is a standout in the garden. This perennial grows about anywhere so it's a great plant for beds, borders, and containers. Excellent for cut flower arrangements. Combines well with Echinacea and Gaura. Little Lemon Dwarf Goldenrod is a compact, long-blooming perennial with cheerful, lemon-yellow flower spikes that arch gracefully in September and October. Attracts bees and butterflies and looks great in the late summer with Echinacea, Agastache, and Penstemon. Japanese Anemones are great choice for the late summer and fall garden. Snow white or pink flowers late summer to early fall. This plant needs little attention once it is established and spreads to a large clump. Look beautiful when combined with Miscanthus grass and silver-leaved shrubs. 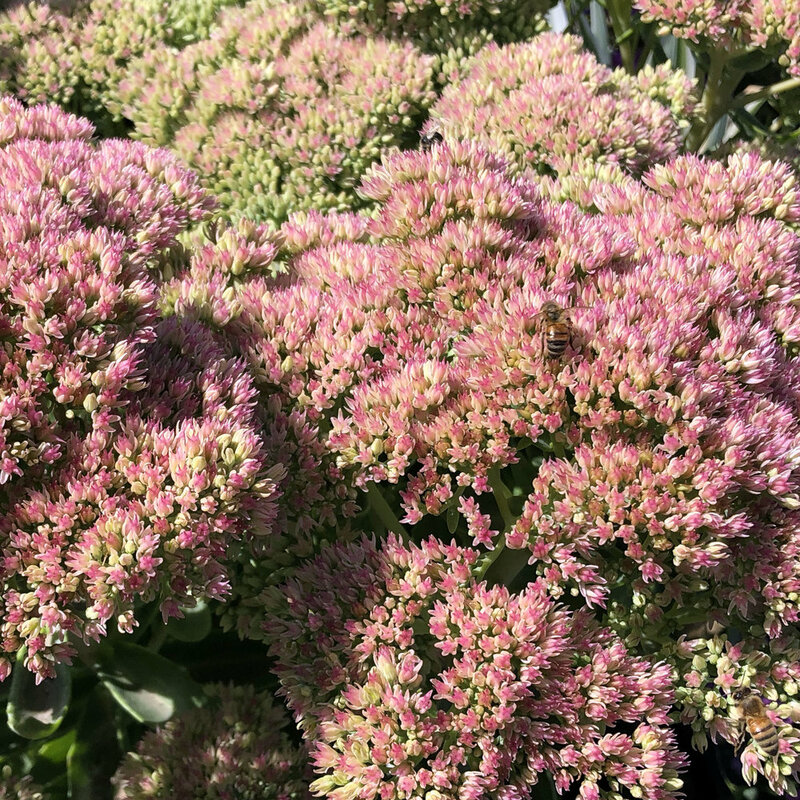 This sturdy perennial is as tough and dependable as they come, with pink flower clusters that gracefully age to rosy, coppery-red in the fall and succulent foliage. Looks great when paired with grasses. Attracts pollinators and butterflies. 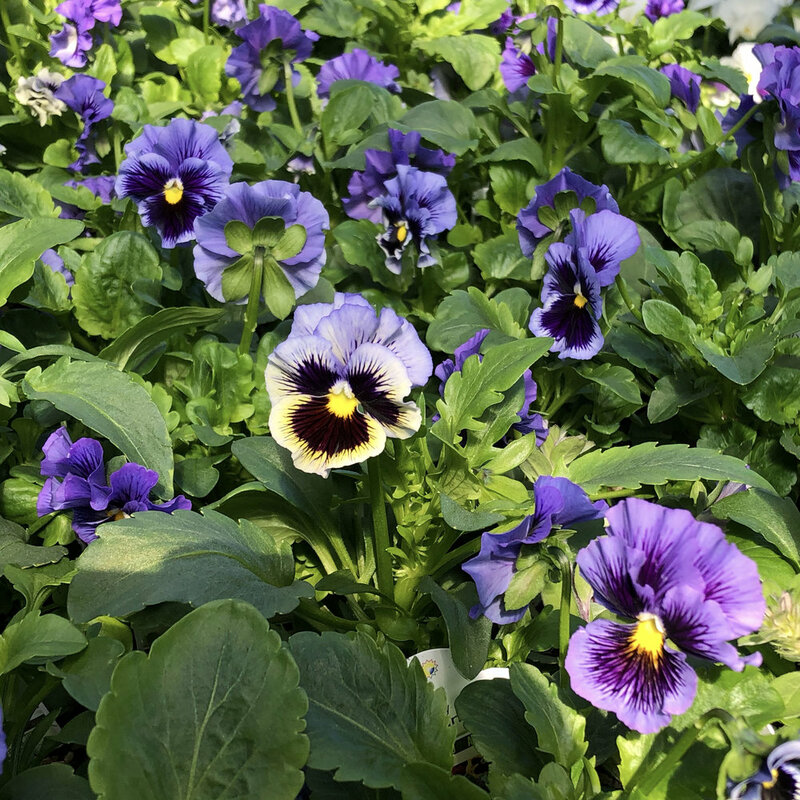 Cheerful, bright colors and long bloom times make Pansies a favorite. Tucking pansies around taller, showier plants can really refresh your containers and garden beds fall-spring. Deadheading spent flowers will result in more blooms. Chrysanthemums (or mums, as they are commonly called) are the quintessential fall flower. These lovely, multi-petaled flowers come in a wide variety of colors and bloom from late summer through fall. Mums make a great cut flower as well. September is a great time to plant and to find the best selection of plants to brighten up your fall garden. And, during our Fall Sale, all trees, shrubs, perennials (including grasses, groundcovers, and herbs), and 8" mums are 30% off! Our experts are happy to offer more great fall plant selections or you can ask us on social media using #heyswansons.